Skin pigmentation is common and usually harmless. Changes in facial pigmentation and body pigmentation can create visibly darker patches of skin, which many people want removed. If you are faced with skin pigmentation there are treatments available. A popular skin pigmentation treatment is laser or intense pulsed light technology. What is facial body pigmentation? Hyperpigmentation describes patches of skin becoming darker than the surrounding areas. Often this is caused by excess melanin and can affect people of any skin type. Facial and body pigmentation can be present at birth or it can develop over time as a result of sun exposure or age. What causes facial body pigmentation? 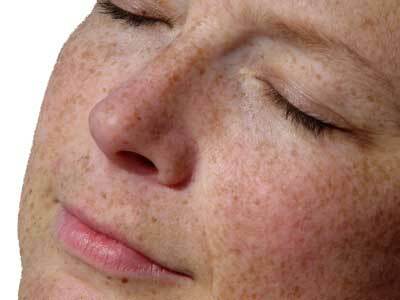 Freckles – Freckles are an inherited type of facial and body pigmentation and can be found anywhere on the body. Age Spots or Liver Spots – A common form of skin pigmentation, these occur as a result of sun damage. Melasma or Chloasma Spots – These are similar in appearance to age spots but are caused as a result of hormonal changes and are larger in size. What does skin pigmentation treatment involve? Laser technology and Intense Pulsed Light (IPL) technology are effective skin pigmentation treatments. They can be used for both facial and body pigmentation. Both these skin pigmentation treatments use a light that removes pigmentation without damaging the surrounding areas. Though facial and body pigmentation is usually harmless, it can create an uneven skin tone and you may seek skin treatment to reduce the appearance of this. Can anyone benefit from skin pigmentation treatment? Laser treatment for facial and body pigmentation is safe and can be used on all skin types. However, results do vary depending on your skin type. Asian skin is prone to colour change after skin pigmentation treatment and therefore we advise you to seek the help of a specialist in this area to reduce the effects. Who will perform the skin pigmentation treatment? As with all our treatments, skin pigmentation treatment is performed by one of our qualified practitioners and supervised by Doctor Maria Gonzalez. How much does laser facial body pigmentation removal cost? Exact prices to be confirmed during your medical consultation for your Facial Body Pigmentation Treatment.